Enjoy this timeless story with an excellent message and beautiful illustrations. Written for young readers in English, Roman Hindi and Hindi. 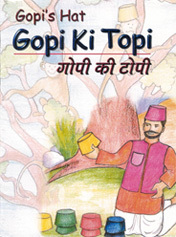 Have fun with Gopi as he outsmarts the monkeys by getting his hats! This story is beautifully written for young readers in English, Roman Hindi and Hindi. Experience the journey of an injured sparrow who escapes from dangerous animals of the jungle by its wise ideas. 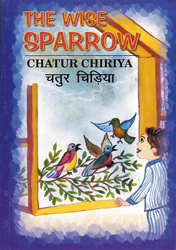 The story is beautifully written for young readers in English, Roman Hindi and Hindi.